The Foundation awards grants to qualifying institutions and agencies that further the vision of Bob and Helen Kleberg. Since inception, the Robert J. Kleberg, Jr. and Helen C. Kleberg Foundation awarded $309.2 million in grants with annual distributions of over $11 million. 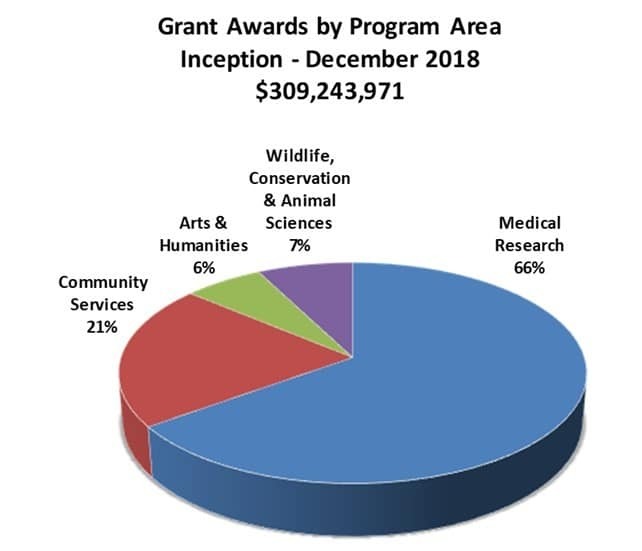 In 2018, the Foundation distributed a large number of prior commitments. In addition, 32 new grants totaling $7 million were awarded, some of which will be disbursed in future years.